R + I specializes in Business Sales, Business Valuation and Business Acquisition primarily in the Restaurant, Hotel, Gas Station and Retail Business Industries. We research comparable sales data, evaluate list price vs sales price, follow industry news and market trends, and identify the best market value for your business, and provide a higher level of commitment to get you the best price and terms in the marketplace. We advertise your business on several websites including the Internet’s largest business for sale marketplace that receives over 1.4 million monthly visits from current and future business owners looking for businesses to buy and sell at no upfront cost to you! You only pay us once we sell your business. We use our nationwide connection with business brokers and affiliations to expedite your sales at top dollar. We search the largest inventories of businesses for sale on the internet with approximately 50,000 active businesses for sale including not only established businesses for sale, but also asset sales, franchise opportunities & business real estate. We use our nationwide network with business brokers and affiliations to satisfy your specific business needs and facilitate lower and mid-market business transactions. We offer a wide knowledge base in business acquisition and operations to help first-time buyers and entrepreneurs identify start-up opportunities on time within their budget. We research comparable sales data, evaluate list price vs sales price, follow industry news and market trends, and negotiate the best price and terms in the marketplace. We have a trusted network of CPAs, lenders and attorneys to provide you financing and legal assistance to set up your business and assist in closing. 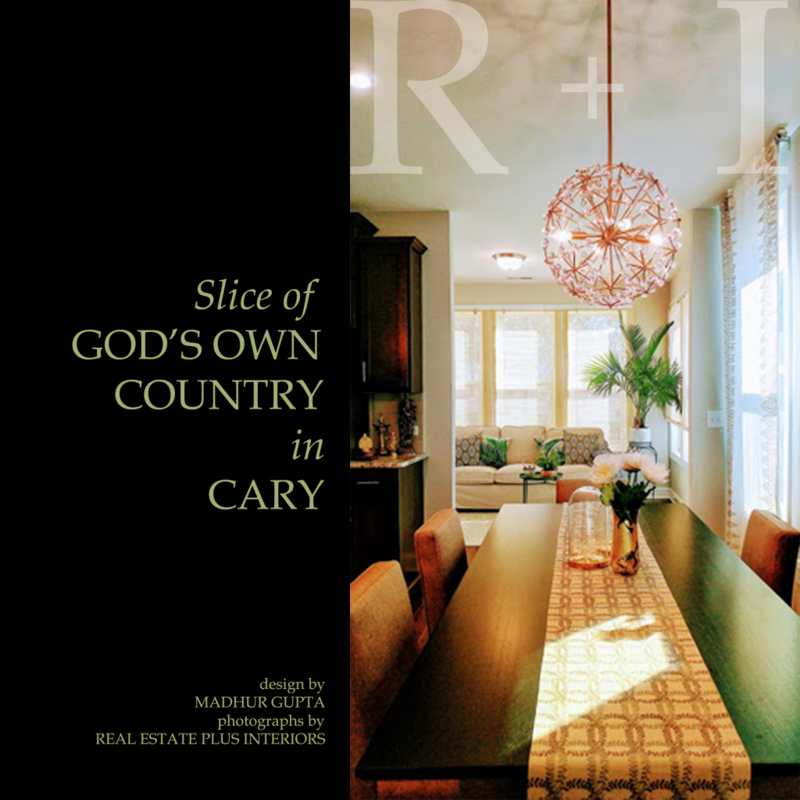 R + I is a design firm in the Triangle area with licensed real estate professionals also well-versed with interior design. Our core emphasis is to provide value-added design services in addition to real estate services to buyers, sellers, investors, homeowners and businesses for a higher resale value of your residential or commercial property, and a better quality of life with spaces curated to enhance your home and business, your personal brands. R + I is about connecting with individuals and businesses to uncover new ways to think, feel, see and experience architecture, even with cookie-cutter homes. Trends change, tastes evolve — we scrutinize individual lifestyles, multicultural contexts, structural / design options and associated costs, and carefully examine the layout and unique design elements of each site for design options that surprise. Let us help you reshape the discourse of real estate by creating lifestyle vignettes per your own individual tastes and preferences. Together we can! Our experience and expertise brings a wide range of design styles in both residential and commercial interiors. We collaborate with various interior & decorating product brands, retailers, wholesalers, stores, and showrooms. Our network includes builders, artists, architects, ancillary service companies, to name a few, and together we can construct spaces per your new-home, home improvement or commercial interior décor needs. A Slice of God’s Own Country in Cary is our first coffee table photo book for a client with over 50 pages including a foreword, full page photos and favorite picks. The idea was to create a catalogue, advertisement or promotional book for the client to showcase their own personal brand, their home. Photography does not always have to depict things as is. We like to play around with sciography, perspective rendering, digital sketches, stylized colors, panoramic views and a variety of design filters to abstract, animate and make mundane images exciting with our own styling. At times, we pick random objects from the interiors that form relationships between the human and the building. If your interior has plenty of natural light, great. If not, we will use mood lighting to enrich your not-so-bright or dark spaces. Past and existing clients can order their own custom coffee table book with photography and styling by R + I. Areas Served: North Carolina primarily the Triangle Area – Cary, Raleigh, Durham, Chapel Hill, Apex, Morrisville, Holly Springs, Fuquay Varina, Garner, Clayton, Wake Forest. Want to List or Sell a Home? Get FREE home staging when you list with us. Contact us to learn how we can help you market your home with superior listing packages and marketing. Want Home Staging services only? A surefire way to sell quickly and/or at a higher price, yet often ignored. Contact us for a free consultancy of your home staging needs. You can rent our accessories and do-it-yourself, or help us model your home for buyers to imagine themselves living there. Home Staging services include FREE 1 Hour Home Staging Consultancy, Color Consultancy / Painting Services, Pre-Listing Interior / Exterior Preparation, and Premium Styling Packages for Luxury Homes. Want to Buy, Sell, Rent, Lease, or Invest in residential or commercial real estate? We would like to work with you to provide quality full-service real estate brokerage services. Please feel free to let us know what you are looking for with as many details as possible, without the slightest hesitation, so we can customize real estate and design solutions per your individual needs and budget. Buying a New Home? Design services available for buyers working with us as their exclusive Buyer’s Agent. Contact us to learn how to save $$$$$ on structural and design options, and help you pick options based on form and function. First Time Home Buyer? Contact us to learn how to invest in a primary residence wisely as a first time home buyer and how to obtain financing even without the best credit scores. Need Tenant and Owner Representation or Property Management Services? Contact us to learn how we can help with residential and commercial leases, lease evaluation, tenant and owner representation, and pricing related to property management services. Seasoned Buyer wanting to Invest? Contact us to learn how we can help with investing in income-producing residential and commercial properties, valuation of single assets and portfolios. We work with multi-million dollar investors and can help you find partners for investment as needed. Whether you are are investing in real estate for the first time or are a seasoned investor, we are committed to serving you with your best interests in mind, highest customer focus and tough negotiation skills. Whether you want to buy, sell, or rent, we are there to provide you comprehensive market knowledge, online and offline marketing, advertising strategies, open houses, virtual tours, financial calculators, design inspiration, selling and buying tips, relocation tips, referrals for mortgage lenders, home warranty companies, title insurance companies, inspectors, movers, and other service professionals as a one-stop solution for your real estate needs. Call today for a no-obligation FREE consultation of your real estate or design needs.